Organic Control: Diatomaceous earth, orange oil and plant oil sprays. If you wake up some morning and have a big welt that is about the size of a quarter or larger and that doesn't hurt but itches like the devil, you probably donated a little blood to this demon. Start taking apart the bedding and drapes because it's hiding there somewhere; if you don't find it, you will wake up the next morning with another itchy welt. Do not scratch. Wash the swelling and surrounding area thoroughly with soap and water--then it will be okay to scratch. 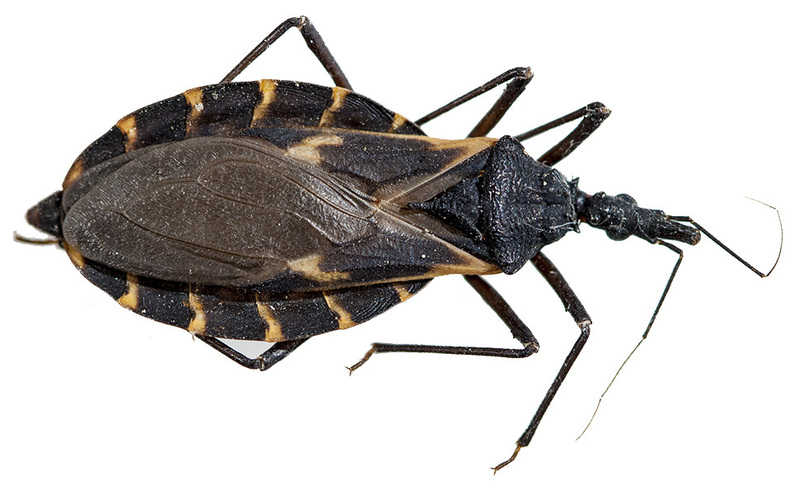 This bug carries a deadly sleeping sickness called Chagas disease. It doesn't inject the disease organisms while sucking your blood; they are carried in the bug's feces. If you scratch without first washing, you may infect yourself. 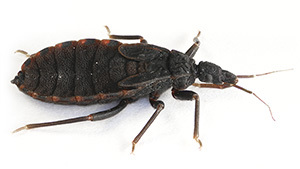 In the South, the bug deposits feces near the bite. But the farther north the bug goes, the farther it deposits its feces from the bite, making infection less likely with scratching.